WordGirl is an animated series that follows the every day life and superhero adventures of “WordGirl” as she fights crime and enriches vocabulary usage, all in a day’s work. 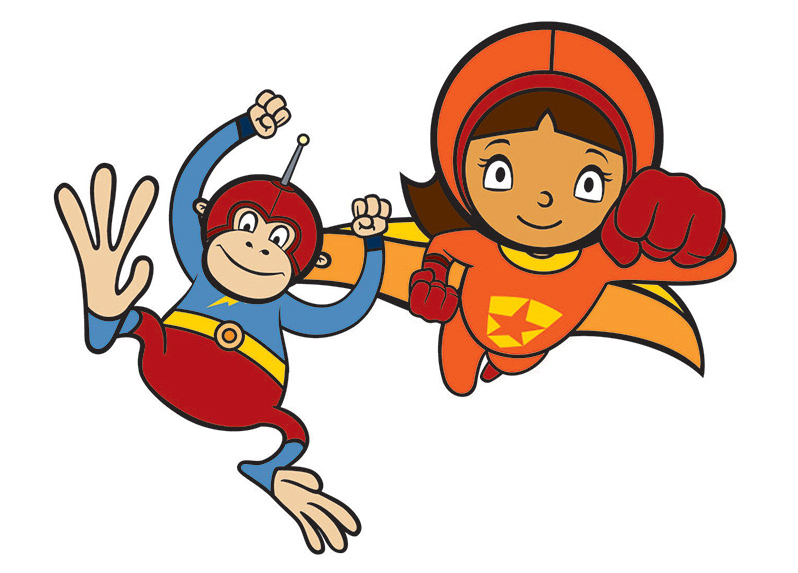 Disguised as mild-mannered 5th grader, Becky Botsford, WordGirl arrived on planet Earth when she and her monkey sidekick, Captain Huggy Face, crashed their spaceship. 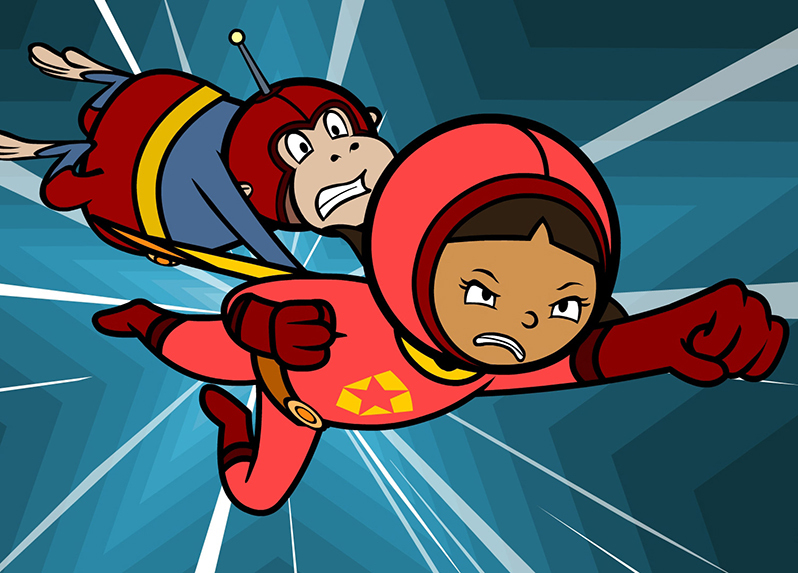 In classic superhero form, WordGirl possesses superhero strength with the added benefit of a colossal vocabulary. WordGirl has a family and friends who have no idea of her secret identity. As WordGirl, she battles and prevails over evil (albeit ridiculous and comical) villains. See clips, play games, download printables and more.